Is this destined to be one of the great undiscovered albums of the year? 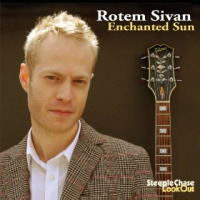 Released with little fanfare on Steeplechase's Lookout strand back in June, Enchanted Sun has picked up precious few reviews. Maybe it is just the summer slumber. 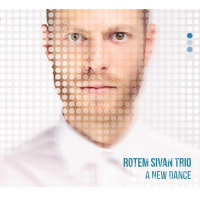 Let us hope so, for the debut recording from Israeli-born, New York-based guitarist Rotem Sivan and his trio deserves to get n.o.t.i.c.e.d. Unusually for a modern guitar-led album, there are no loops, no effects, no overdubs, no turntablists, no fusionism. There is nothing inherently wrong with any of those things (except fusionism, obviously). But how refreshing it is to hear classicism such as this. The first point of reference which suggests itself is the work of guitarist Johnny Smith on Roulette in the 1950s. 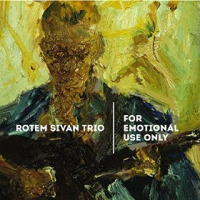 Sivan favours radiant, upper register, single-note lines over Smith's lush, chorded treatments, but he casts the same ineffably romantic spell. The second point of reference is the trio clarinetist Jimmy Giuffre led at the 1958 Newport Festival (immortalised in the documentary film Jazz on a Summer's Day). The presence of guitarist Jim Hall in Giuffre's trio is incidental here; it is the buoyant, limber freshness of the trio's overall performance that resonates. Of the nine tracks on the album, only two are covers: George Gershwin's "How Long Has This Been Going On?" and Richard Rodgers' "Isn't It Romantic?" 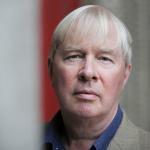 Eighty-one years after it was written, Rodgers' piece receives another definitive performance. The rest of the tunes were written by Sivan, who, more often than is decent for someone so young, approaches the same melodic heights as the composers of those two treasures from the standards repertoire. If you could hear a great perfumean understated dream weaver such as Guerlain's Après l'Ondée or L'Artisan Parfumeur's Timbuktuit would sound like this. Like those two olfactory masterpieces, Enchanted Sun is concerned with luminescence rather than impact, and the shimmer lingers long. A captivating debut. Track Listing: Here With You; There Without; Rodent's Blues; Isn't It Romantic? ; Scene #5; How Long Has This Been Going On? ; Keep Breathing; Enchanted Sun; Sun-Song. 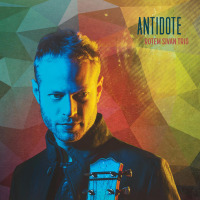 Personnel: Rotem Sivan: guitar; San Anning: bass; Rajiv Jayweera: drums.